Even though my life is feeling rather peaceful right now, my heart knows I'm in a war zone. The beauty of it all, is that God has granted me a season of rest, peace, and a view of life I haven't always seen. With each step towards the heart of God, I see the Warrior He has put inside of me. I don't always know or understand what to do with the Warrior spirit that sometimes clings and claws at the same time. The inner restlessness that peeks out on the peace filled days, and the long clung to hope of something more. God keeps telling me to look beyond the disappointment and see the total contentment of Who He Is. The disappointment of loss and pain that hides the Warrior from stepping into life. The conflict of vulnerability versus the defense of armor. Life has so many blessings and so much to offer. For me, in this season, it offers quiet days and rest. There is a change of direction on my horizon, the Warrior in me feels it, but I don't know what it is. There is a rapid stirring within my heart that knows God is who He says He is, He does exactly what He says He's going to do, and He loves me. Yet, still when the Warrior inside of me runs to hide I feel the fear, the angst that attempts to overtake my spirit. His Sword is mine to grasp onto and never let go, it gives me courage, hope, and faith. 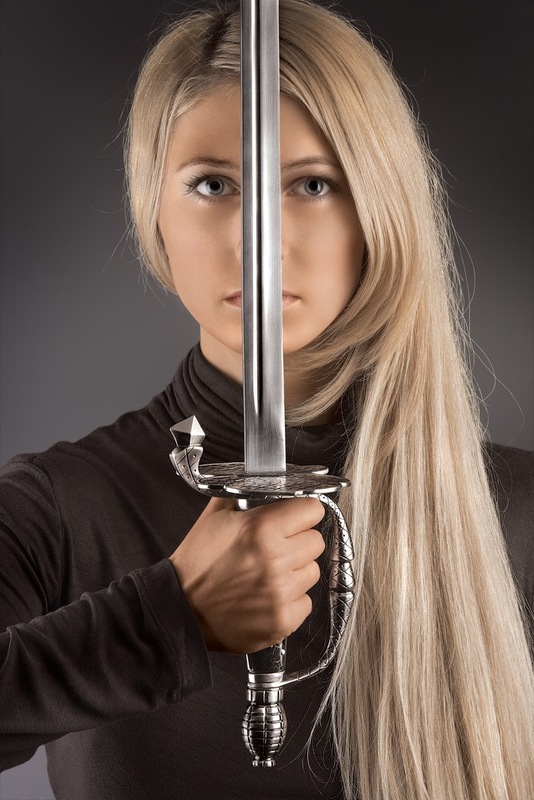 The reality is, to live in courage I must use the Sword, to feed my hope and faith I must see the power of the Sword. This is stepping into a fullness of life. Looking back, I can see that God has surged through my life in such a way that He overcame adversity. He has held back the raging war that wanted to overtake me, and given me His strength and power to fight His way. He has done it all. He has covered the labels with His protection and called me whole in Him. He has wiped away the pain, and granted me solace. Yet, still I find that ever searching heart of mine looking for more of Him. My thoughts can sometimes collide with each other, but this morning He is assuring me that to step into life with Him is the desire to want more of Him. Say That Again, Lord Jesus!